Ardagh Group was again successful at this year’s prestigious Cans of the Year Awards held at the Canmaker Summit in Scotland, winning a Gold trophy. 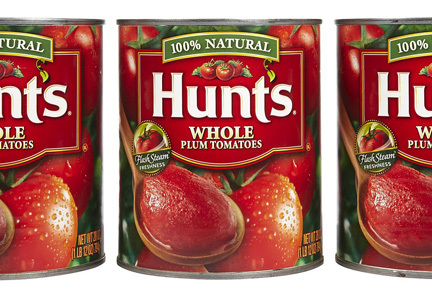 The award came in the Food Two-Piece category for the partial internal lacquer in the DWI can produced by Ardagh Group for ConAgra’s Hunt’s brand in the US. The performance of DWI cans for tomato products relies very much on the internal lacquer. The lacquer is partial at the top and bottom, and is said to better protect the tomatoes from oxidation, even after two years. Selected products were targeted by ConAgra and Ardagh to receive this special lacquer application. The unlacquered portion of the can interacts with the product giving it a unique flavour and colour equivalent to a bare tin can. Rigorous testing took place at Ardagh’s R&D Centre in Crosmieres, France in finding the proper lacquer type and application process. Ardagh Group, a global leader in glass and metal packaging solutions, announced in 2013 that it had entered into a supply agreement with ConAgra Foods to supply substantially all of their US food can requirements. As part of the agreement, Ardagh Group invested in two new state-of-the-art DWI can making facilities to convert the vast majority of ConAgra Foods’ shelf-sized cans from traditional 3-piece can technology to Ardagh’s flexible DWI (Drawn and Wall-Ironed) technology.